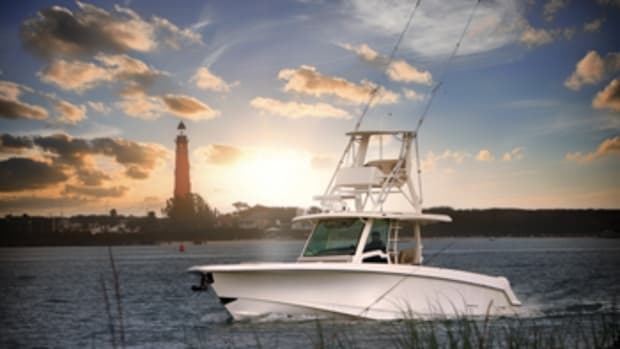 If you like to fish inshore and offshore, check out the new 251 XS center console from Scout Boats, of Charleston, S.C. 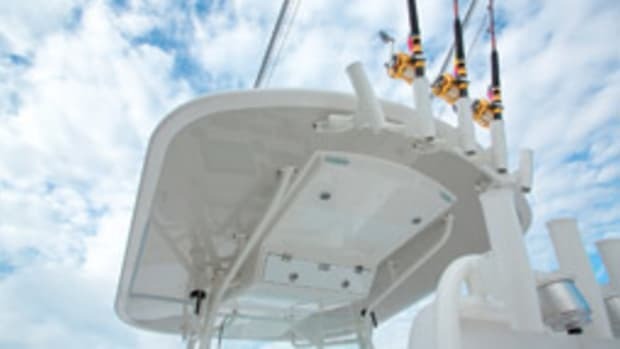 The proud bow and significant freeboard allow the boat to take on offshore conditions, company president Steve Potts says. Yet the vessel draws just 13 inches, so it&apos;s also at home in skinny water. Scout always has innovative features to showcase. On the 251 XS, the helm seat hinges forward, opening access to the entire circumference of the live well underneath. The patented T-top/windshield is built as a three-sided structure with tempered-glass and a hardtop. The view forward is unobstructed, with no overhead electronics box. The Scout was designed to do its share of day boating. In addition to the two-person helm seat, the Scout has two transom seats and a wraparound bow seat. 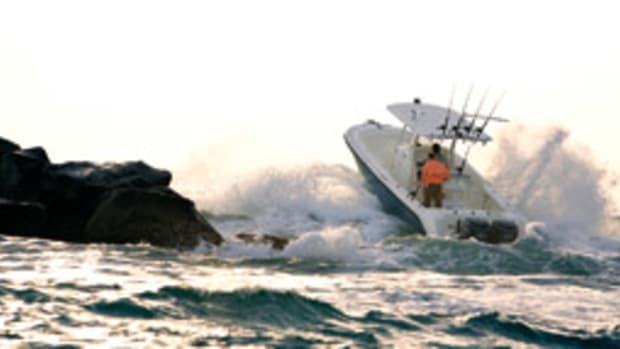 And there&apos;s still a reasonable amount of space to fish in the cockpit and forward, Potts says. Click play for a video walkthrough of the 251 XS narrated by Scout president Steve Potts. With the help of two oversized stainless-steel gas lifts, a door on the forward side of the console swings up on beefy stainless hinges to provide access to the interior. The design and construction of the door is an example of Scout’s workmanship, fit and finish. With a Yamaha F300 — a Gen II 300-hp 4-stroke — the 251 XS tops out about 60 mph and has a cruise speed of 32 mph. Mileage at this speed is 4 mpg, an impressive number. “We work hard at designing planing surfaces that run efficiently,” Potts says. MSRP is $68,831. Contact: Scout Boats, (843) 821-0068.